We are pleased to announce the recipients of the Spring 2017 Seed Grants. 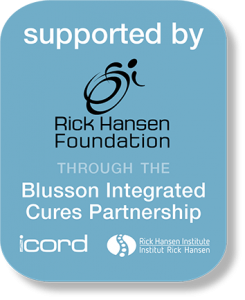 These grants are designed to support novel research projects proposed by ICORD Principal Investigators and Investigators, and are made possible with the support of the Rick Hansen Foundation, ICORD and the BICP. Patients with who have suffered spinal cord injury below the level of the mid back commonly develop acute neck, upper back and shoulder pain later in life. While it is recognized that these SCI patients make unique biomechanical demands of their neck and shoulder girdle muscles (e.g. ambulation with a wheelchair), little is known of the exact cause of their pain or the optimally focused treatment strategy. In the non-SCI patient population, acute neck pain is most commonly caused by soft tissue injury and affects 71% of adults during their lifetime. It is the fourth leading worldwide cause of years lived with disability. At present, there are no reliable diagnostic tests that can identify which muscles or muscle layers have been injured or how severely they have been injured. Near-infrared spectroscopy (NIRS) is a quick and non-invasive method for studying muscle injury. The recent development of miniaturized, portable, NIRS devices has made it an ideal diagnostic tool for studying the cause of muscle related neck pain. To date, there are no reported studies that have used NIRS testing to identify the anatomical location (i.e. depth of muscle injury) or the severity of soft tissue injury in SCI patients. The overall goal of this study is to evaluate the feasibility for conducting a larger scale, five year prospective clinical trial that correlates NIRS measures of neck muscle injury and inflammation with severity of acute neck pain in SCI patients. The results of this larger study will help improve the care of SCI patients with neck pain by objectively evaluating the benefit of current commonly used treatments and assist in the design of more focused forms of treatment. Findings from SCI research that could help support the health and well-being of people with SCI are often not applied in practice. 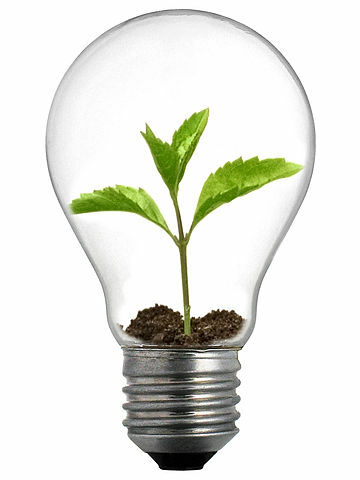 Knowledge translation efforts aim to ensure that research findings are shared with the broader community and used in the real world. We can improve the use of SCI research in practice by doing res ea r ch i n partnership between researchers, clinicians and people with SCI. By doing research as equal partners, our research can become more useful and applicable to people with SCI. Sadly, little research is done in partnership between researchers, clinicians and people with SCI. The goal of this project is to create guiding principles that will help researchers, cli n i ci an s and people with SCI work together to do research and share research findings. Using a standardized method for creating the guidance, a diverse team of SCI researchers, clinicians and people with SCI wi ll come together to develop the principles. As a team, they will decide on the scope of the guiding principles and how the SCI community can be meaningfully involved in the creation of the principles . Together, they will do a systematic search of published r es ea r ch that have used partnerships between researchers, clinicians and community members to do research and share research findings. Findings from the search will be discussed amongst the team and used to create the first guiding principles t o help researchers, clinicians and people with SCI work in partnership to do research and share research findings . Ultimately, this research will help to ensure SCI research is used in practice and benefits people with SCI. Introduction: Pressure ulcer (PU) which frequently seen in patients with spinal cord injury is one of the top five leading causes of patient suffering and re-hospitalization. Unfortunately, none of the current treatment is satisfactory. According to a study by the Rick Hansen Institute, in addition to all difficulties associated with PU, the cost of treating PU in Canada and BC is estimated to be $365.7 million and $49.7 million per year, respectively. To address this problem, here, we propose to treat PU with our previously developed liquid skin substitute called MeshFill, which is liquid at low temperatures and solidified upon its application to a wound site. Upon its application on wounds, skin cells from the edge of the wounds migrate within and on the surface of this scaffold and accelerate the healing process. Hypothesis: It is our working hypothesis that MeshFill can safely be used to treat pressure ulcer in SCI patients who are voluntarily participate in a Pilot Clinical Trial in wound clinic in iCORD and VGH. Method: To carry out this study, patients with Stage III or IV pressure ulcers whose healing has not been satisfactory for the previous 3 months will be eligible for this study. Upon their approval, in combination to the standard wound care, wounds will be debrided and filled up with the liquid MeshFill. Wounds will be dressed and assessed according to the wound clinic guideline at the baseline and after 1, 2, 4, 8, and 12 weeks using the current protocol of wound assessment. In case of any adverse effects such as irritation or erythema, the Meshfill will be removed and treatment will be continued with standard wound care. Conclusion: The therapeutic use of MeshFill would greatly reduce the patients suffering, economic and social costs of pressure ulcers frequently seen in patients with Spinal Cord Injuries. Spasticity is a common complication after spinal cord injury (SCI), experienced as uncontrolled muscle spasms. Spasticity affects quality of life as it can cause pain, skin wounds, joint contractures, and interference with function. One treatment that is preferred by some people living with spasticity is the injection of a drug called botulinum neurotoxin (BoNT) directly into the spastic muscle, as BoNT decreases spasticity for as long as several months. In order to decrease spasticity on a continuing basis the injections must be semi-regulary repeated. There are a few possible problems with BoNT injection that may affect a person’s decision to use this treatment for their spasticity, one of which is that the effect of BoNT can spread away from the spastic muscle and cause weakness in other muscle groups. For example, after arm muscles are injected spread of BoNT can lead to problems with swallowing, potentially causing a chest infection (pneumonia). It is possible that this problem can be addressed with more precise determination of the appropriate BoNT dose for each injection. The proposed research project will use a technology called near-infrared spectroscopy, or NIRS, to measure spastic muscle metabolism before, during, and after BoNT injections. NIRS uses specialized lights and light detectors in a handheld box to non-invasively measure the amount of blood moving through a muscle and the amount of oxygen the muscle is using. Measurements of muscle blood flow and oxygen use can tell scientists and doctors how healthy a muscle is, and these measurements may be able to help us determine whether a BoNT injection was sufficient to decrease spasticity without leading to weakness in other muscles. Cardiovascular complications are common after SCI, and people who live with SCI are more likely have cardiovascular disease than people without SCI. Our research has shown that the heart itself, as well as the muscle cells in the wall of the heart, get smaller after SCI. The signals that cause the heart cells to reduce in size might also reduce the amount and function of mitochondria, which are the energy making powerhouses of cells. If the mitochondria are not functioning correctly then it may further worsen the health of the heart. Since no studies have investigated mitochondria in the heart after SCI these results are expected to help further our knowledge of what happens in the heart after SCI. Should we find that SCI impairs function of the mitochondria then this may open up a new line of treatment for people living with SCI in the future.